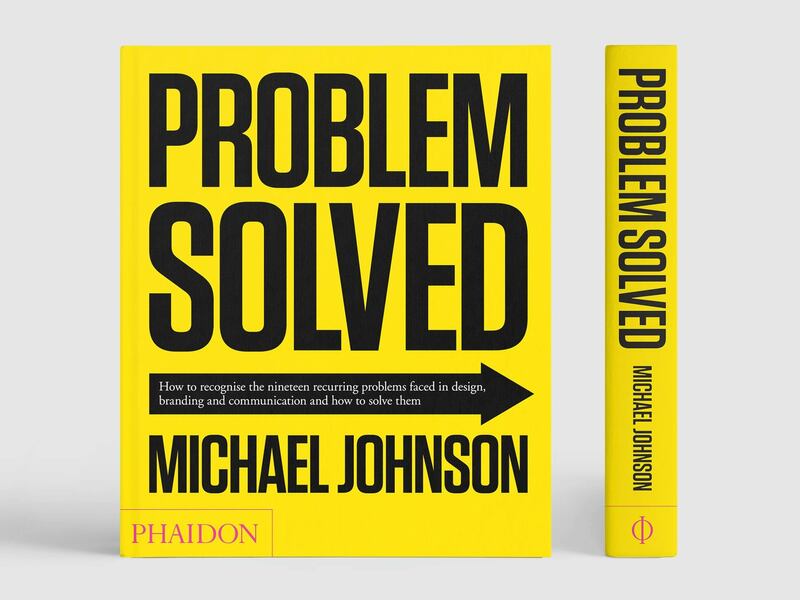 Johnson’s first book was Problem Solved (Phaidon Press), originally published in 2002 and updated in a second edition in 2012. In this publication, Johnson’s aim was to stratify and simplify the vast array of issues that designers and communicators face into 19 simple questions – then answer them with comprehensive case studies and examples. Typical questions were ‘The evolve or revolve’ problem, which looked at the decisions that brands face when updating, and ‘The one size doesn’t fit all’ problem, which examined the recent explosion of brand designs that twist, turn and modulate. Johnson’s other written works as a contributor include Rewind: 40 years of Design and Advertising (Phaidon Press 2002) and The Education of a Typographer, edited by Steven Heller (Allworth Press 2004).